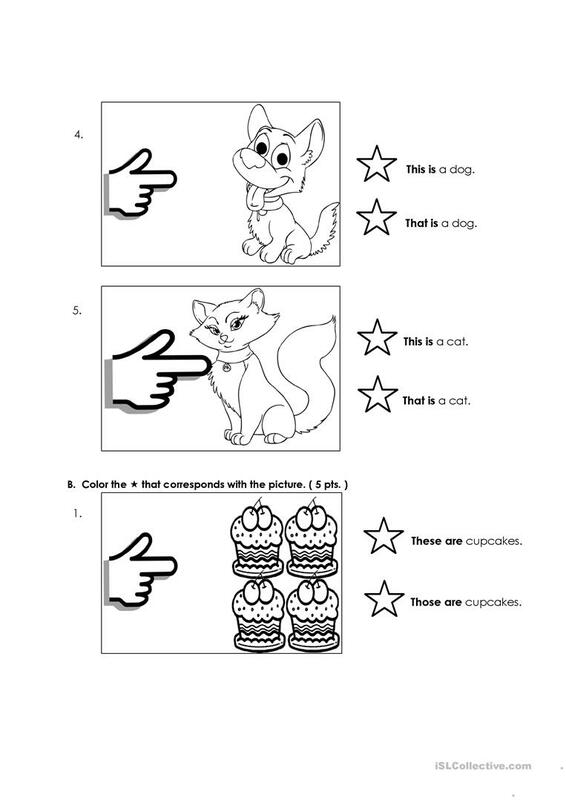 The above downloadable printable is meant for elementary school students, kindergartners and nursery school students and students with special educational needs, learning difficulties, e.g. dyslexia at Beginner (pre-A1), Elementary (A1) and Pre-intermediate (A2) level. 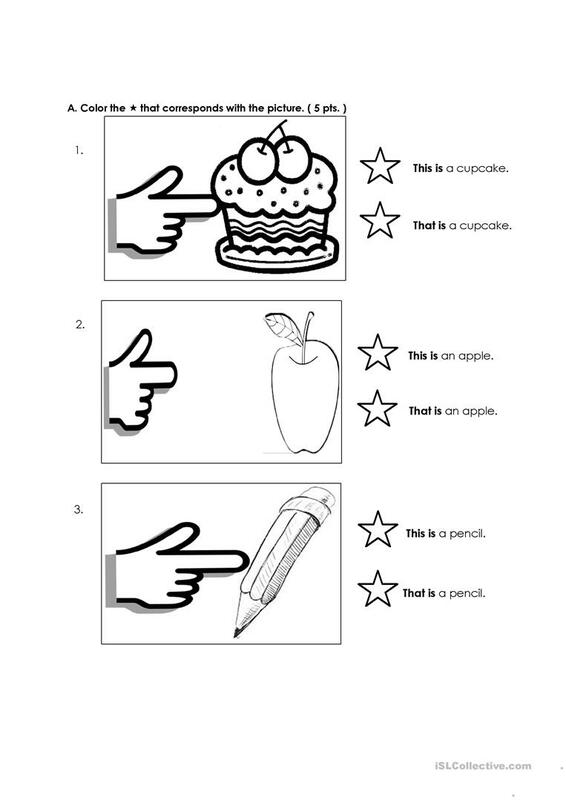 It is a useful material for practising Pronouns: Demonstrative pronouns (e.g. 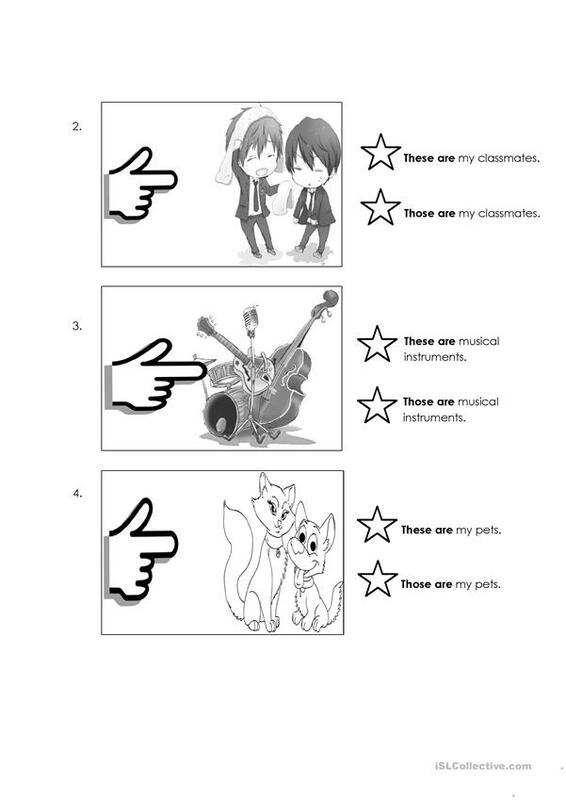 this, that) in English, and is useful for strengthening your class' Listening, Reading and Writing skills. It features the topic and words of Actions. rhz777 is from/lives in Philippines and has been a member of iSLCollective since 2012-02-26 01:42:26. rhz777 last logged in on 2019-01-07 11:57:09, and has shared 3 resources on iSLCollective so far.